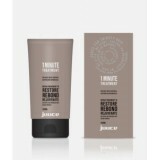 Rejuvenates all damaged very dry – ultra dry hair with nourishing active ingredients and natural smoothing agents which penetrate deep into the core of the hair. 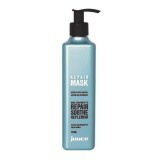 Restores internal strength to reinforce, protect and smooth the cuticle surface. 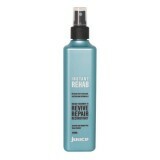 Anti-heat + UV + humidity + oxidation protection. 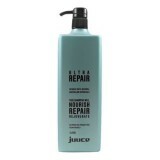 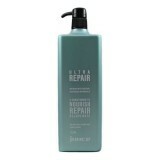 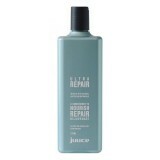 Juuce Ultra Repair smoothes, detangles and restores strength and shine to hair, leaving it supple..
Juuce Ultra Repair smoothes, detangles and restores strength and shine to hair, leaving it su..
Juuce Ultra Repair Conditioner smoothes, detangles and restores strength and shine to hair, leavi..
Juuce Ultra Repair Conditioner smoothes, detangles and restores strength and shine to hair, l.. 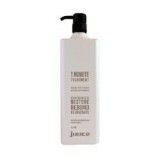 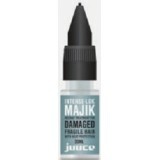 INSTANT TREATMENT Instantly detangles, repairs and moisturises extremely dry or da..
Juuce Smooth Enz 150mL LEAVE IN ENDS REPAIR Repairs and seals split..
Juuce Majik Intense Lok 30mL Instant 30 second double action repair treatment reco.. 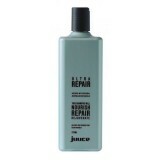 TREATMENT Intense soothing and replenishing for stressed hair with shea butter..